I attended the last two dinners in Chef Schwartz's pop-up series over at Harry's Pizzeria and really enjoyed them. Jonathan Waxman (Barbuto Pizzeria) and Marc Vetri both served outstanding meals to a packed house. Next up is Jonathan Sawyer from The Greenhouse Tavern in Cleveland. His restaurant menu sounds awesome and it looks like Miami is in store for another culinary treat. I already purchased my seat. See you there! Wednesday, April 4, continuing our chef pop-up series featuring some of Michael's favorite chefs cooking in our kitchen and completely taking over the menu for the night. After Gabrielle Hamilton, Jonathan Waxman, and Marc Vetri, Michael welcomes one of Food & Wine magazine’s 2010 Best New Chefs, Jonathon Sawyer to join us for a dinner celebrating his new housemade vinegars! The Cleveland, Ohio-based chef/owner of Noodlecat, Brick & Mortar, and Greenhouse Tavern ferments over 300 gallons at a time in his home basement, using them in nearly every dish at the restaurant and now beginning to roll them out in retail. He’s also got his own wines and new private label beer with Pennsylvania’s Victory Brewery, with a new restaurant in the works paying homage to his wife's Italian roots. Look for some of these goodies on Greenhouse Pizzeria’s menu, below. Guests will enjoy a welcome cocktail, hors d’oeuvre, four courses, wine and beer, and go home with a bottle of Tavern vinegar, with tax and gratuity all included in the ticket price of $129. 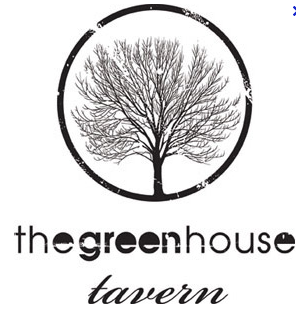 CLICK HERE TO PURCHASE YOUR GREENHOUSE PIZZERIA TICKETS! Our best from Michael and the team from Harry's! visit the “FUN” page on Harry’s website.